Newlyweds Warren and Audrey Clifford moved from Puyallup in January 1948 to begin a new life as farmers. 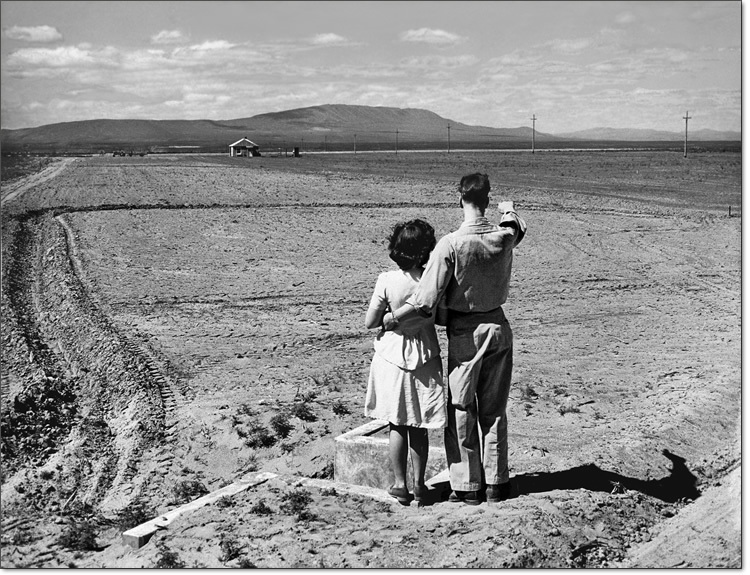 The first to acquire land in the newly-irrigated Block 1 Water District on Pasco Heights, they posed for this Bureau of Reclamation publicity photo in 1949. Their first crop, planted on 50 acres, was red clover seed, alfalfa, and red beans. Warren credits the Farmer's Home Administration with their early survival. 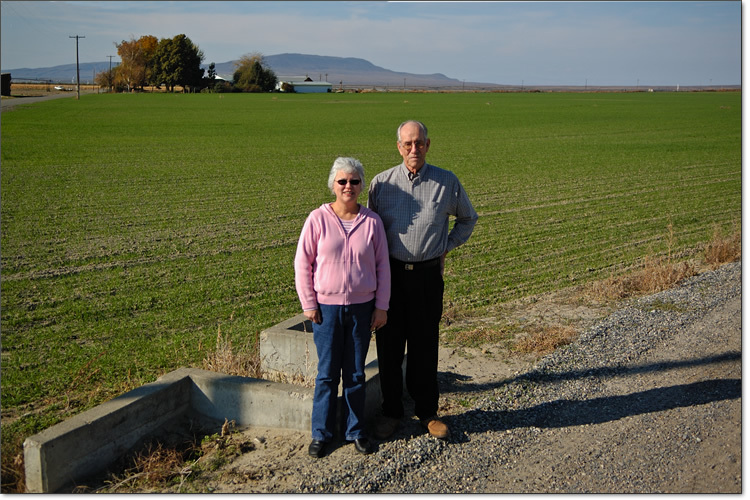 In the repeat photo, Warren, now widowed, stands with his daughter Gloria, (who lives in the original farmhouse at upper left) next to the same concrete abutment. Warren lives a couple of miles away amid cherry orchards overlooking the Columbia.